Jet Airways is putting together a plan to restore its flight schedule, following an emergency funding from lenders and by April-end it will have an additional 40 planes in operation. The airline's management, led by Chief Executive Officer Vinay Dube, Deputy Chief Executive Amit Agarwal and State Bank of India (SBI) Chairman Rajnish Kumar, met Civil Aviation Secretary Pradeep Singh Kharola on Tuesday and apprised him of the developments at the airline. Kharola said the aviation ministry was keeping a close watch on the developments at Jet Airways. "The airline has assured us that it will operate 75 planes by April-end. It has said there will be no more grounding now," he said. The airline has been asked to submit a report by next Tuesday. A few of the grounded planes are already being readied for operations as lessors have lifted notices, it is learnt. Jet underwent a change of guard on Monday. An interim management is being formed to look after its daily operations and cash flows. While lenders are hopeful of selecting a new investor in the airline by May-end, the priority of the management is to revive the operations. Jet's operating fleet reduced from 103 planes in October 2018 to 35 now, leading to massive cancellations and a surge in airfares. Other private airlines are seeking airport slots as Jet has pulled out from various routes. 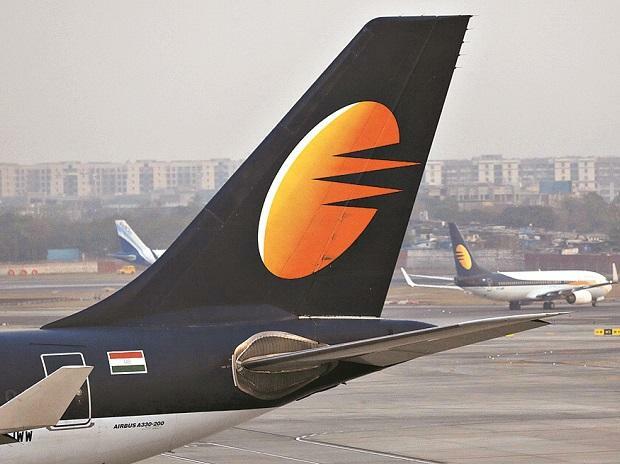 On Monday, lenders took majority control of Jet Airways and decided to provide a loan of Rs 1,500 crore, which will be used to make urgent and overdue payments to the staff, lessors and other suppliers. The banks will also get nominees on the airline board, after receiving 114 million fresh shares in the company. The names of the new board members will be finalised in a couple of days. Lenders are searching for a new investor and an expression of interest will be floated by April 9. 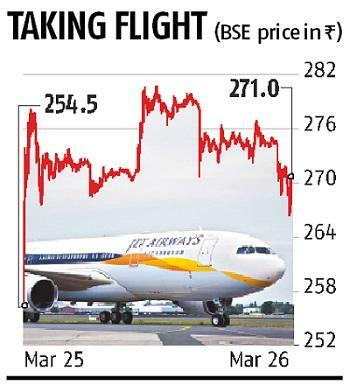 "The new investor in Jet Airways needs to bring around Rs 4,500 crore. We see a lot of interest in the airline including foreign investors," said a senior executive from a public sector bank. Meanwhile, the airline's pilots union has approached SBI, seeking its help in securing their pending salaries. "We humbly request you to alleviate some of the hardships that we and the engineers have been facing by ensuring that the new management does not further delay the release of our pending salaries and clears our dues at the earliest," wrote Captain Tej Sood, general secretary of National Aviators Guild, to the SBI chairman on Tuesday.